The average college grad finishes $20,000 in student loan debt, a 108% increase in the last decade. In Michigan, we have decided to freeze college welfare at the state level and most schools are promising a tuition increase to offset that horrible deficit. How could anyone dare withhold money from such a hallowed institution as Michigan State University? Well, the state did and now MSU is going to show them. It is some sick, twisted boasting in the wake of massive tuition hikes, increases that force students into deeper debt while the university shows absolutely zero restraint. In Michigan, over the last twenty years, the average state university rate has nearly quadrupled (in non-inflation-adjusted terms), increasing from $2,119 in FY 1988-89 to $8,754 in FY 2008-09. This equates to an annualized increase of 7.4 percent per year. The University Industrial Complex has prospered with no affect on the state’s unemployment rate nor on its gross income. 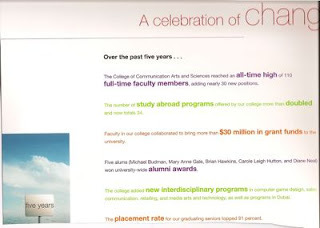 Then there is Hope College, a private school in Holland, Mich., with an enrollment of around 3,200 students. In a rarely seen burst of responsibility and sanity, the college will freeze wages for staff as it slightly increases tuition. How many more times do you need to hear it? The next bailout, 2010 style, will be of the student loan industry.